Babylonian amora of the fourth generation, who resided for a time in Palestine and then returned to his home (Yoma 78a), where he transmitted aphorisms of R. Johanan (B. Ḳ. 92a) and especially of R. Joshua b. Levi (Ber. 42b, 44a). He also delivered haggadic lectures ('Er. 86), of which some passages were known even in Palestine (Yoma 86b; B. B. 16b), although his name is mentioned neither in the Palestinian Talmud nor in midrashic literature. He was a frequent visitor at the house of Raba (Ber. 42b), on whose haggadah he exercised great influence. Raba asked for the Biblical bases of the ideas expressed in many aphorisms current among scholars (B. Ḳ. 92a; Yeb. 62b), and the answers given satisfied him. Raba also showed Rabbah thirteen popular proverbs, for which the latter gavereferences to the Bible (B. Ḳ. l.c. 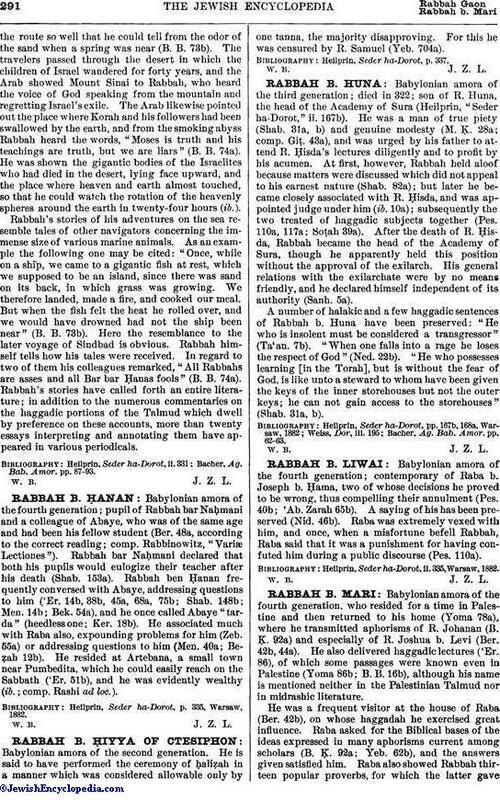 ); and it is noteworthy in this connection that Rabbah cited a passage from Ben Sira (Ecclus. [Sirach] xiii. 15) and that he regarded the latter as one of the hagiographic "ketubim." 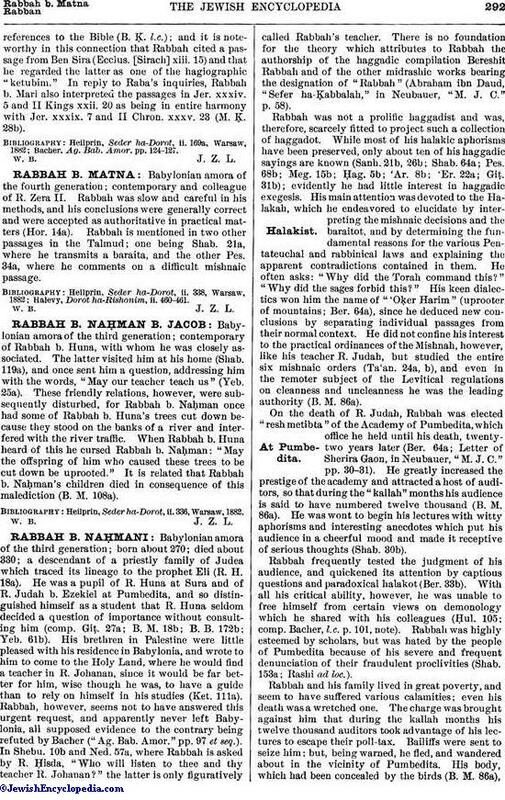 In reply to Raba's inquiries, Rabbah b. Mari also interpreted the passages in Jer. xxxiv. 5 and II Kings xxii. 20 as being in entire harmony with Jer. xxxix. 7 and II Chron. xxxv. 23 (M. Ḳ. 28b). Bacher, Ag. Bab. Amor. pp. 124-127.